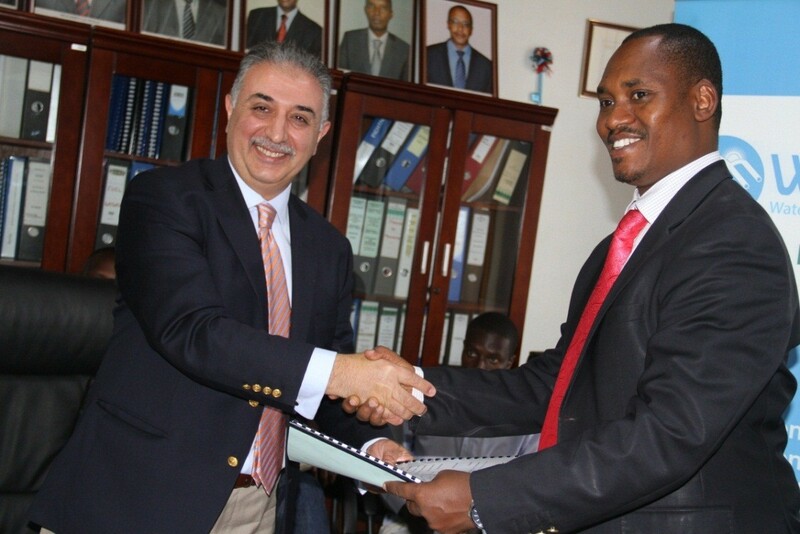 The Water and Sanitation Corp. Ltd. (WASAC) in Rwanda awarded Culligan Intl. a contract to design and install a water treatment plant to provide drinking water to Kigali, that country’s capital city. WASAC is a government company that provides water to Kigali City and all urban centers of the country. “Kigali needs about 100,000 cu meters of water per day while water supplied is 65,000 cu meters per day, which implies a shortage of about 35,000 cu meters per day,” said James Sano, CEO of WASAC Eng. Expected to be completed by July 2015, the new water treatment facility will help Kigali close this gap as Culligan will design the system to produce 25,000 cu meters per day upon the plant’s commissioning with the ability to expand capacity to 39,000 cu meters per day once performance results are proven. The expanded production will help Kigali meet future water demand. As this is a full turnkey project, Culligan will provide all design and engineering works, equipment supply, civil works and installations. The plant will draw on the Nyabarongo River—Rwanda’s largest river and part of the upper headwaters of the Nile—as its raw water source. The treatment system is made up of raw water intake from the river including screening, a raw water intake pump station, sedimentation tank, aeration tank, raw water pump station, Culligan Omni Filtration (OFSY) Systems, disinfection and a 1,000 cu meter treated water reservoir. With the Culligan OFSY filtration system, the plant is equipped to deal with the challenges presented by the feed water, which has very high turbidity as well as high iron and manganese levels. The two-stage pressure tank filtration OFSY system offers several other advantages. For example, it removes Giardia and Cryptosporidium and other micro-organisms that are resistant to chlorine disinfection, as well as other contaminants such as arsenic, iron and manganese in the water. In addition, the OFSY filtration system has a 60% smaller footprint compared to traditional gravity filtration technologies allowing for a smaller size treatment plant resulting in lower CAPEX. Chemical usage may be lowered from 30% to 90% lower, which can reduce OPEX.